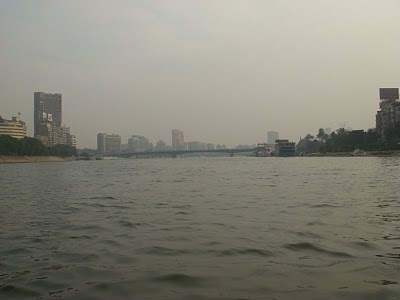 This picture was taken around 12:30PM. 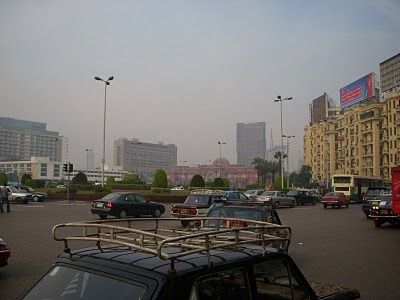 The smog has lifted slightly; a clearer picture of the Egyptian Museum. 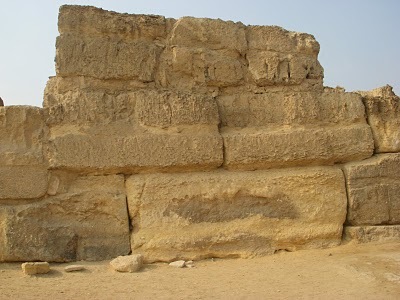 Another idea regarding the building of the pyramids; if they could have made strong enough rope, and a way to pull the boulders up with people guiding the stones on each level, the problem is moving the stones. 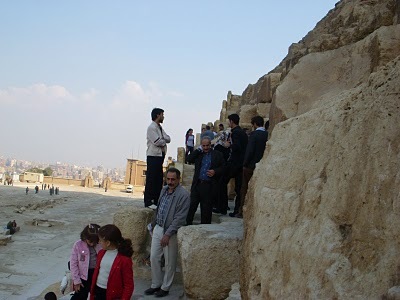 Keep in mind it is possible to climb up the pyramids. They could have climbed up to the level they were working and with enough people pulling the stones up. Many claim they made ramps; from the size of the pyramids it is difficult to imagine this concept. I am so into pondering this idea, and effected from the energy of the Pyramids. 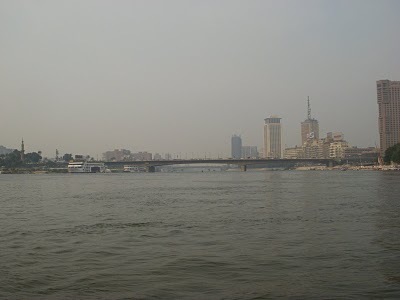 I will be going for a third time to Giza, I want to walk inside the other two pyramids. There is also a light and sound show they do in the evenings in front of the Sphinx that I might check out. 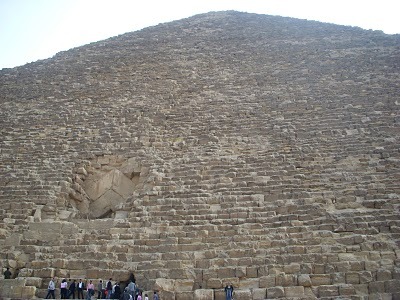 This is a picture of the entrance to the Great Pyramid. 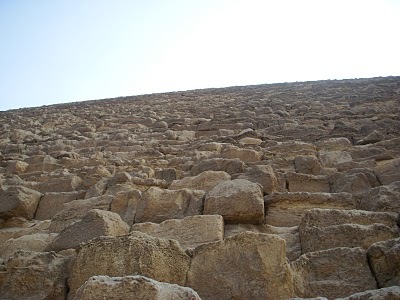 This is a picture of the Great Pyramid looking up. 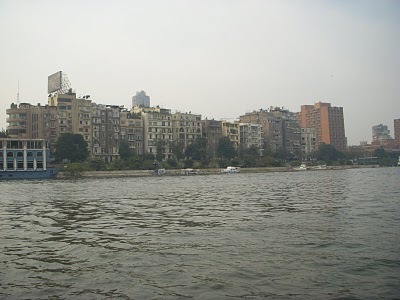 They have a very nice Opera house here in Cairo, I might go see a show on New Years Eve night. 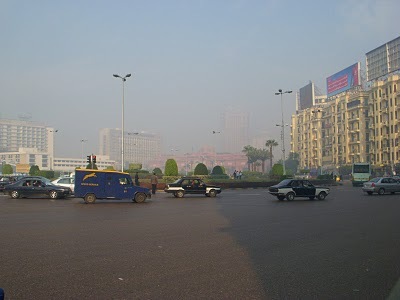 My time in Cairo is going very well. I got free from mosquito bites for awhile, although, I was just bitten fiercely on my lower back. I cannot believe it, I don’t know if they get under the blankets or what. If so, then they are very intelligent blood sucking mosquitoes. I most likely will end up sleeping fully clothed to prevent this from happening. I also bought some nice underwear at the mall, the reason being; I’m walking so much that going without has been causing friction and a skin rash. I bought the kind that wear down on the thigh to prevent the inner thigh from rubbing together. It does add to the backpack, but I have found wearing some underwear to be essential. Always need to make adjustments as each situation demands. The Great Pyramid showing the entrance. 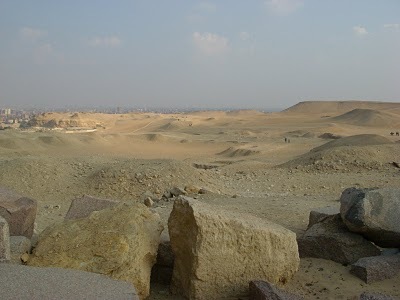 The desert with Giza in the background. 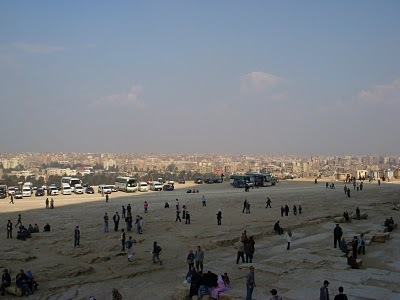 These two pictures are of Giza from the area of the Pyramids. 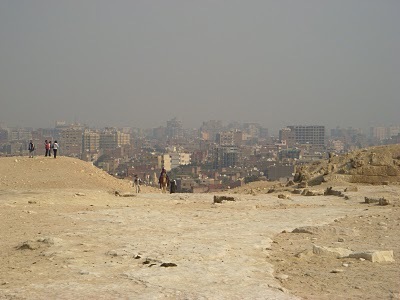 I was sitting on the Great Pyramid when I took this picture. 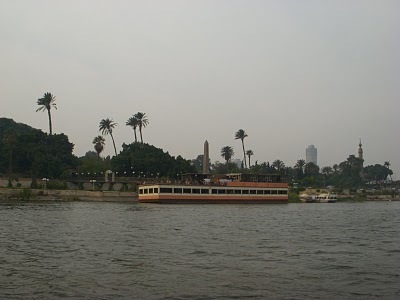 Here are some pictures of the Nile Felucca cruise I went on with my female Egyptian female friend. 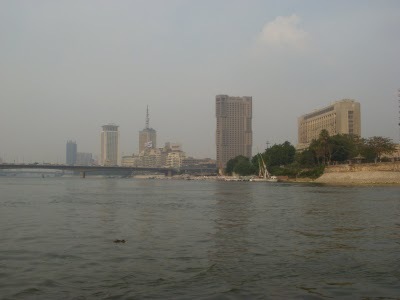 The tall building in the middle is the Ramses Hotel. 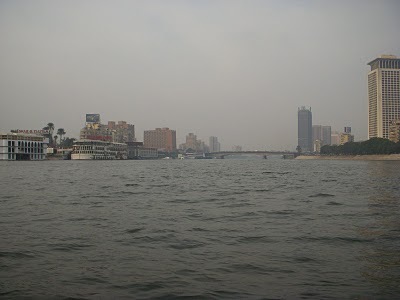 It was a cloudy day, it is not all smog your looking at. 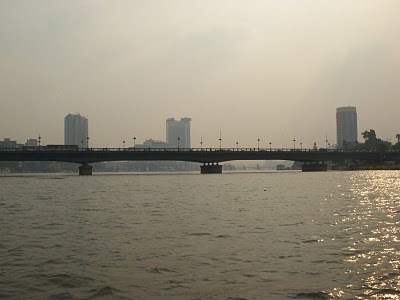 An Obelisk in the background. 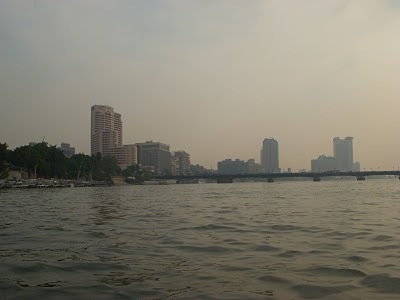 The Nile River is really amazing, without Egypt would not exist. Previous post: The Hash House in Northeast ?